Home » Blogs » Panic About Anxiety -- A blog about panic attacks, panic disorder, and anxiety. 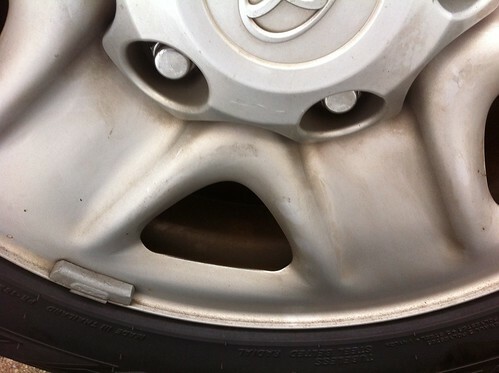 » What Does ‘Pareidolia’ Mean and Why is it Dangerous? What Does ‘Pareidolia’ Mean and Why is it Dangerous? The findings usually include bits of faint and unidentified audio (ghostly voices), strange anomalies in the thermal camera (ghostly temperatures), and unusual shadows or figures (ghostly images). I’ll stay away from debating whether or not the show (let alone ghosts themselves) is real, staged, or some combination thereof. But I do know this: show a fellow human being a picture of two dots and a curved line, and he’s going to interpret it as a human face. It’s almost instinctual, even. Don’t believe me? Take a look at the infamous face on Mars. Or at the man in the moon. There is a word for this: pareidolia. And everyone should learn it. Pareidolia: the tendency to interpret a vague stimulus as something known to the observer, such as interpreting marks on Mars as canals, seeing shapes in clouds, or hearing hidden messages in reversed music. Have you ever heard someone call your name while running the loud vacuum? That’s pareidolia. Ever see a cumulus cloud shaped like a giant teddy bear? That’s pareidolia. Ever see that famous piece of burnt toast that looks like Jesus? Pareidolia. We seek to create meaning when meaning is absent, I suppose. And perhaps it’s no danger to see a teddy bear in the clouds or a man in the moon. Those are functional. Whimsical. Harmless. But pareidolia can be dangerous sometimes. Especially when it gets religious or political: Jesus on toast may be one thing, but what if a rusty water stain dripped down the front facade of your public county courthouse and believers came flocking? Perhaps Thomas Jefferson, whose famous 1802 letter to the Danbury Baptist Association coined the phrase “wall of separation between church and state,” would roll over in his grave. But it doesn’t end there. What if a Jewish man sees a religious figure in chipped paint on a local mosque? What if a political group notices the shape of a presidential candidate’s face in the arrangement of roses in the White House garden? What if North Korean soldiers see the face of Kim Jong-Il in the pebbles that line the ground at the DMZ, their heavily-militarized border with South Korea? 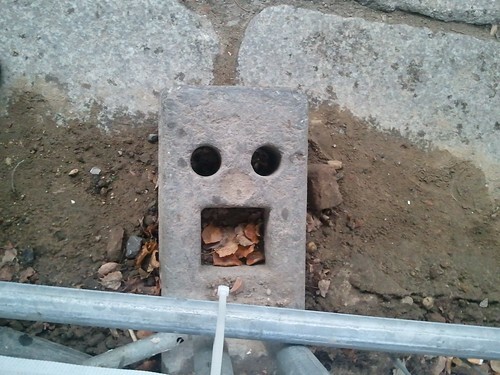 Pareidolia isn’t just about seeing faces, though. It’s about interpreting any vague stimulus as meaningful. Fellow panic sufferers, tell me this: have you ever felt a twinge of nausea and, instead of readily discounting it as an effect of something you ate for dinner, fall into an hour of ruminating? Might it be stomach cancer? Or perhaps an ulcer? Or even a tapeworm? Or have you ever gotten a headache? (Probably.) Have you ever gotten a headache, a vague stimulus indeed, and chose to interpret it as something more meaningful? Might it be an aneurysm? A brain tumor? Some other sign of impending doom? I could go on. Heart palpitation? It’s a quick and vague stimulus that usually means absolutely nothing. But do you add meaning where meaning is absent? Do you view the palpitation as a symptom of an illness or disease? Do you view the palpitation as a sign that you are weak? Failing? Falling apart? Dying? Incapable of ever being calm again? It is time to dismiss these fanciful meanings that we erroneously (and often unknowingly) create for ourselves. Not everything in this world has meaning. We need to learn to distinguish when we’re uncovering meaning from when we’re constructing it. Three hours later, I stopped myself before putting on a fourth episode of Ghost Hunters. There’s no good way of knowing whether their investigation team has actually captured ghostly audio of spirits talking or if our human mind is erroneously creating meaning from nonsense. As a panic sufferer, I know how easy it is to create false meaning from thin air — so I’m voting for the latter. Further reading: Sagan, Carl (1995). The Demon-Haunted World – Science as a Candle in the Dark. New York: Random House.